Is It Time To Consider A Holiday In Haiti? Haiti is a land of history, a land of adventure and a land of culture. Unfortunately, it took a devastating blow with the earthquake that rendered Port-Au-Prince to rubble in a moment of tragedy watched by the world at large. 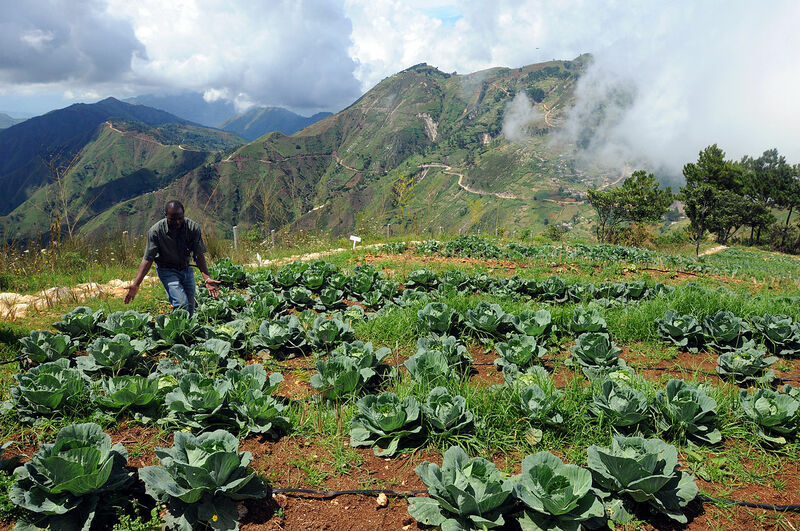 It seems only yesterday that the earthquake occurred, but in the seven long years since the disaster, Haiti has got itself back on its feet – and it’s ready for you to see and experience it! Is it time to consider a holiday to Haiti? You bet. How do you get into Haiti now? Well – you can catch the plane! Toussaint L’Ouverture Airport is the main path into the island, and it’s based in the capital – Port-Au-Prince. You might also cross the Dominican Republic border into Haiti – but this will be busy and won’t be stress-free. As for the Visas? Get the latest Haiti & USA Visa news before you go – but historically, visas have only been required to be held by travellers from Colombia, Cuba, the Dominican Republic and Panama. It never hurts to check, as Haiti has transformed in the past five years and that could change laws and administration – so always, always check! To get around, consider renting a chauffeur instead of renting a car – which is an affordable option, but if you’re looking for budget – get the bus, but only if you can speak the language. These buses called ‘Tap-Taps’ are full of locals, and you might end up lost if you don’t know how to ask questions. It’s a good chance to make a friend or two. Where do you stay? Well, Haiti is enjoying a hotel boom, and all the big chains will be around in the near future. Best Westerns, Marriotts – you’ll see a lot of them in the next few years in Haiti. The Oloffson is a unique hotel, which you should see if you don’t stay in it! You’ll find plenty of guest houses on the cheap as well – if you look hard enough, which could be a more authentic experience. A lot of the guest houses are linked to Haiti’s orphanages, like Saint Joseph’s Home for Boys, if you need a hint. What to do? Look around! Haiti is a unique place, and some of its haunting colonial history can be seen, especially in the Citadelle la Ferrière situated on top of the Bonnet a L’Eveque. A lot of blood was shed in the name of Haiti – so there’s a lot of stories to hear, so shack up with a tour guide and explore. Like everywhere else in the Caribbean, eating is a highlight. Avoid the tap water, but indulge in everything else. Street vendors in Haiti sell amazing treats – but always ensure it’s cooked through. Kabrit (goat) and Poulet Creole are must-tries – along with the seafood. Haiti is also famous for its Babancourt Rum – and you can see how it is made at the Barbancourt Distillery. Check that out indeed, if you like a swig of it! Before you try the rum, get to the top of Haiti on the Pic la Selle and enjoy views of the whole island. Haiti’s a unique land – and it’s time for you to experience it for yourself.